Composites have been in use for the last 50 years on a commercial scale. In the initial stages of commercialisation, they were only used in high-end applications like aerospace and defence. As more technological advancements occurred, composites began to get commercialised in a variety of end-user industries like sports goods, commercial aviation, automotive, marine, civil engineering, and building and construction. As of now, the cost of composites (both in terms of raw materials and fabrication) has come down considerably from the yesteryears and this has enabled them to get adopted on a large scale across industries. Composites are combinations of fibres and resin materials in a definite proportion. While the resin matrix gives the final shape to the composite part, fibres act as reinforcement, thus strengthening the composite part. The resin-to-fibre ratio varies according to the strength and stiffness requirement of parts manufactured by Tier-I suppliers and/or original equipment manufacturers (OEMs). While primary load bearing structures need a higher proportion of fibre compared to resin matrix, the secondary structures require only a quarter of fibres embedded in the resin matrix. This applies to all sectors and the resin-to-fibre ratio is determined by the fabrication method. The marine recreational craft industry has been a major consumer of composite materials (including foam core materials), globally. However, during the period of 2008 to 2010, it underwent a downturn as boat building slowed down and inventory piled up. This dip in demand can be attributed to consumer caution, lower purchasing power and reallocation of limited resources to profitable and more core activities. Boat builders also realigned their product and business strategies to reduce losses. This time period also witnessed the exit or acquisition of many small boat builders that were unable to sustain their businesses due to loss in working capital. The manufacturing of large boats (>35 ft) took a hit, while small boats (<24 ft) came into manufacturing focus. This scenario is likely to continue over the next two years, for which Frost & Sullivan estimates that smaller boats will be the main driver of marine composites. Composites have many advantages over metals and other traditional materials, like wood, in the manufacturing of recreational boats. Composites enable 30-40% reduction in overall weight of a component in contrast to metals like steel or aluminium. This overall decrease in weight leads to a cascade of other secondary benefits such as lower operating costs, reduced greenhouse gas emissions and greater fuel efficiency. The use of composites also enables the elimination of fasteners through parts-consolidation, which further reduces weight. Composites also give boat architects greater design freedom thus enabling the manufacture of complex shaped parts. Additionally, if composites are compared to competing materials, the life-time cost of a composite part is substantially lower due to lower maintenance, as well as lower installation and assembly costs due to corrosion resistance and durability. It is no wonder then that composites are gaining greater acceptance among the marine OEMs and Tier-I suppliers. Despite the many advantages that composites confer, there are still certain disadvantages of using composites. The most prominent challenge facing composites adoption is in terms of raw material and fabrication costs. Composites are costlier than their metal counterparts because of high price of glass fibres, carbon fibres, foam core materials and resins such as thermosets and thermoplastics. Also, when it comes to the manufacture of composite parts, the tooling and capital costs are high as compared to metals. There is also a lack of standardisation when it comes to composite materials unlike the metals. While this plays a major role in innovating new composite materials, their widespread usage gets hampered, since composite part manufacturers need to model the behavior of composite parts every time while using the new resin and/or fibre. Other disadvantages like poor reparability and recyclability also affects their adoption. Poor reparability stems from the fact that composites are amorphous or heterogeneous materials in which certain properties like strength and stiffness are aligned in one or two directions. This is not the case with metals which are malleable and are homogenous. A composite part, thus, has to be wholly replaced in case of failure instead of using patchworks. However, there are certain repair mechanisms in place which enable the parts to be repaired in patches, such as laser welding, although this is not used on a large scale. Composites are not as recyclable as steel or aluminium. Thermosetting composites especially are subjected to pyrolysis at the end-of-life and the separate recovery of the fibre and resin is under deep investigation. Thermoplastics are also better in terms of recyclability, but the recovered resin has inferior properties in comparison to the virgin polymer. However, since recycling mechanisms and legislations are still at an infant stage across the globe, Frost & Sullivan does not see this as a major restraint for the adoption of marine composites. Despite the many disadvantages of composites, many boat builders and Tier-I suppliers are placing their bets on the greater incorporation of composites in marine recreational vessels. While it is expected that larger boats will incorporate greater amount of advanced composites like carbon fibre reinforced plastics (CFRPs), it is the smaller boats which will mainly be responsible for driving the demand for overall marine composites. While it is expected that larger boats will incorporate greater amount of advanced composites like carbon fibre reinforced plastics (CFRPs), it is the smaller boats which will mainly be responsible for driving the demand for overall marine composites. For example, in many new yachts and catamarans, advanced composites like carbon/epoxy and polyurethane foams have been used to make hulls, keels, decks, transverse frames, rigs, bulkheads, longitudinal stringers and masts, but these super-yachts or catamarans constitute a minor proportion of the overall boat demand. Technological advancements in manufacturing processes have led to overall reduction in costs of composite parts/components and a higher throughput volume. There is also a slow transition from open moulding techniques, such as hand lay-up and spray up, which utilise more manual labour and consume more time, to a slew of closed moulding techniques such as resin transfer moulding (RTM), vacuum assisted RTM (VARTM), RTM Light, vacuum resin infusion moulding (VRIM), vacuum infusion processing (VIP), closed cavity bag moulding (CCBM) and the Seeman composites resin infusion moulding process (SCRIMP). These closed moulding processes offer more flexibility in terms of part size and complexity, faster production rates (due to automation and less manual labour) and higher quality of parts in terms of minimal void content. The global economic slowdown, though, affected many industries globally and the marine industry was no exception. In 2009, for example, the demand for global recreational boats fell by 23% and in 2010 it fell by an additional 9.5%. 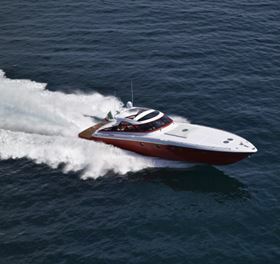 In terms of overall boat demand, which includes powerboats (inboard, outboard and sterndrive), jetboats, personal watercrafts and sailboats (yachts), the US leads in terms of sales figures as the country alone accounted for more than 50% of new boat demand in 2011. Europe accounted for a bit over 30% of overall boat demand, and the rest of the world (which includes Canada, Asia, Australia and New Zealand) accounted for the remaining amount. It is expected that the marine recreational boat market will recover faster in US than in Europe, growing at an average rate of approximately 5% per annum. Frost & Sullivan expects that the marine composites market will grow from about 135,000 tonnes in 2011 to close to 200,000 tonnes in 2018 at a compound annual growth rate (CAGR) of 5.6%. Based on the other assumptions concerning penetration of composites, Frost & Sullivan expects that the marine composites market will grow from about 135,000 tonnes in 2011 to close to 200,000 tonnes in 2018 at a compound annual growth rate (CAGR) of 5.6%. This corresponds to the overall revenue growth from approximately US$900 million in 2011 to about US$1500 million in 2018 at a CAGR of 7.1%. Composite prices will move in an upward trajectory as prices of glass fibres, thermosets and thermoplastics will increase on account of an increase in crude oil prices and other input costs. It is however expected that carbon fibre prices will come down in the near future due to new capacity additions and alternate precursor developments. Its overall effect on marine composite prices, though, will not be substantial as CFRPs account for only a miniscule portion of the marine composites demand. On the other hand, glass fibres will continue to dominate among fibres used in marine composites while unsaturated polyesters and vinyl esters will dominate among polymers. Polyvinyl chloride (PVC) will continue to have a major share among foam core materials. As of 2011, glass fibre reinforced plastics (GFRPs) accounted for more than 80% of overall marine composites demand, while foam core materials accounted for 15%. The rest is attributed to CFRPs which are used in certain large boats and in niche impact-critical applications. The growing marine composites market has also witnessed new material and technology trends. There has been renewed commercial activity among marine composite suppliers in terms of introducing novel bio-resins, natural fibres, low-emission polyesters, out-of-autoclave prepregs, core materials and woven and matted glass fibre materials. This is all steered by the need to increase recyclability and renewability, lower styrene content and enhance processability and surface finish. Frost & Sullivan’s study, Strategic Analysis of the Global Marine Composites Market, covers polymer matrix composites and foam core materials used in marine recreational vessels such as powerboats, sailboats, jetboats and personal watercrafts. For further information contact Jeannette Garcia, e-mail: jeannette.garcia@frost.com. 50 years of reinforced plastic boats. This article was published in the May/June 2013 issue of Reinforced Plastics magazine. The digital edition of Reinforced Plastics magazine is distributed free of charge to readers who meet our qualifying criteria. You can apply to receive your free copy by completing the registration form. The organizers of ITPS and the IFCS have published details of presentations from OEM representatives that will take place during the events.